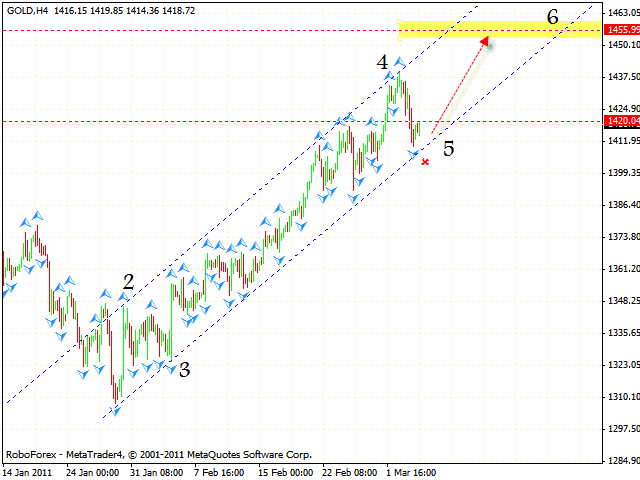 HomeFor ClientsAnalyticsForex Analysis & ForecastsForex Technical analysis and forecastsForex Technical Analysis 2011/03/07. EUR/USD, GBP/USD, USD/CAD, GOLD Forecast FX. Forex Technical Analysis 2011/03/07. EUR/USD, GBP/USD, USD/CAD, GOLD Forecast FX. The EUR/USD currency pair is moving according to the eurusd forecast. 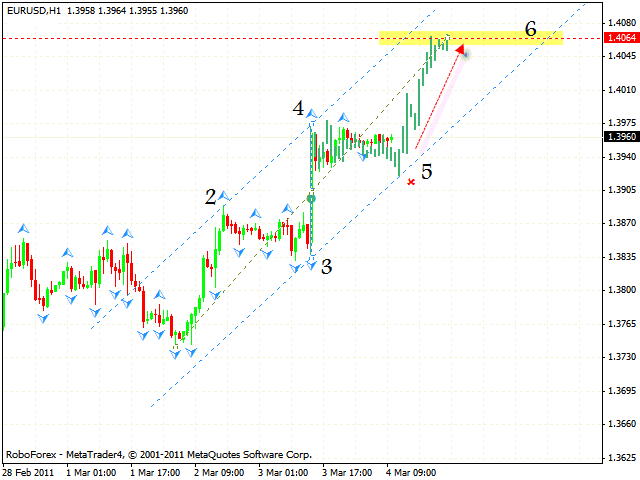 At the moment we can see the formation of the rising pattern with the target in the area of 1.4060. One can try to buy the pair with the tight stop. But if the price breaks the rising channel’s lower border, this case scenario will be cancelled. Unlike Euro, which is growing steadily, Pound is not moving much. 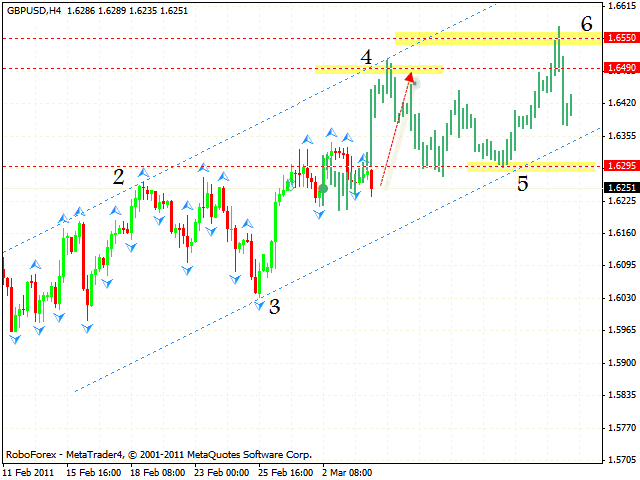 At the H4 chart we can see the formation of the rising pattern, now the price is in the middle of it. 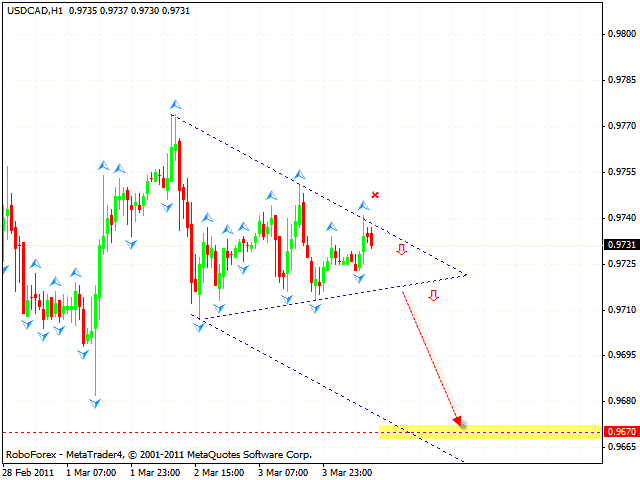 According to the gbpusd analysis we should expect the price to grow to the area of 1.6490 and then to be corrected. GOLD keeps moving according to the online forex trading forecast of 26th January. At the moment the target of the growth is the area of 1455. One can try to buy GOLD with the stop below 1407. If the price breaks the channel’s lower border, this case scenario will be cancelled.